Priority One P.R.F Review – Is This Product Safe To Use? What is Priority One P.R.F? Priority One P.R.F is an all-natural pain relief formula that is touted to be approved to calm nerves and relieve pain. The producers claim that Priority One P.R.F is safe to use and effective. It can be readily bought over the counter without a prescription. The official website sells the product for $34. However, the producers sell it using third party sites. What is the Company Behind Priority One P.R.F? 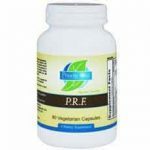 Priority One P.R.F is a pain relief formula that is designed to relieve pain and promote relaxation. According to the producers, this product has been made using carefully selected ingredients that are known to be safe. The product is advertised for; chronic pain, joint injuries, migraines and muscle pains. The product is a trademark product for a company called Priority One Nutrients. According to the official website, this company has been in existence since 1980. What are the Ingredients Used in Priority One P.R.F? Vitamin B1 — Believed to help improve the immune system and promote nutrients synthesis. Niacinamide — Promotes blood circulation in to the joints and fights problems such as dizziness and joint pain. Magnesium Salicylate — Research suggests that it has analgesic and anti-inflammatory properties that may help relieve mild and moderate muscle pains, headaches and joint pain. Valerian root‚ Passiflora‚ Hops‚ and Skullcap — These are natural herbs that are known to reduce anxiety. They have been used traditionally to relieve tension and encourage relaxation. DLPA (DL-Phenylalamine) — This is an amino acid with the power to boost the mood and it is also believed to have analgesic properties. How Priority One P.R.F. Works? Priority One P.R.F. is a pain relief formula that targets chronic pain related to injuries, muscle pains, anxiety, stress and sleeping disorders. In order to achieve this, the product contains carefully selected amino acids, vitamins, minerals and some herbal extracts that are known to alleviate stress, muscle aches, anxiety joint pain etc. this product cannot be described as a fast relief product. All the same, when we analyze its working formula carefully, it will be easy to see that it is better than the NSAIDs we are used to. What are the Pros of Priority One P.R.F? This product is fortified with Minerals and Vitamins. It is said to be made with all natural ingredients that are safe to use. What are the Cons of Priority One P.R.F? This product may Interact with other Medications. This product is not designed to address the underlying causes of pain. There is no return policy that comes with the product. Adults can take between one to three tablets daily depending on the need. All the same, You are not supposed to take more than six tablets daily. For children, you should take only as directed by your caregiver. This product may interact with other medications. Is Priority One P.R.F a Scam? No. Priority One P.R.F is not a scam. This product is well researched to ensure safety and effectiveness. All the same, you should use this product as directed and for the intended purposes. This product may show varying results depending on the user. Priority One P.R.F is a natural product that is designed to offer pain relief without the side effects associated with other products such as NSAIDs and aspirin. The producers have done a good job to ensure that that the product is safe and effective to use. The downside of Priority One P.R.F is the sad reality that it interacts with some medications. This makes it a not-over-the-counter product as the producers claim.